Hamish Blake on Zoe Foster Blake being referred to as "his wife". 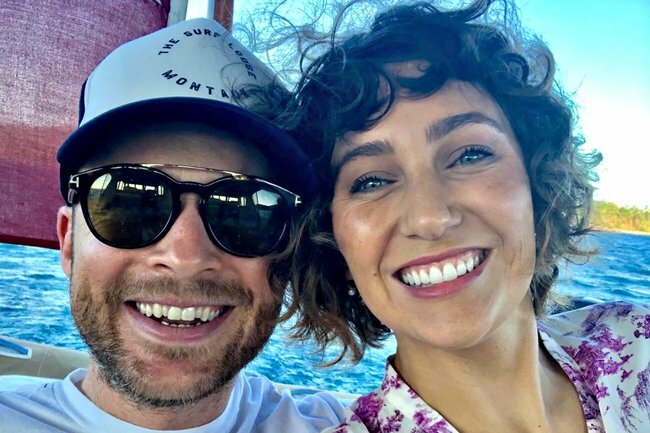 'I find it very bizarre': Hamish Blake on Zoe Foster Blake being referred to as "his wife". Zoe Foster Blake and Hamish Blake are arguably one of Australia’s most-loved couples. You’d be hard-pressed to find a person who doesn’t have a soft spot for the beauty entrepreneur and comedian. It doesn’t hurt the couple has two ridiculously adorable children – four-year-old Sonny and one-year-old Rudy. With Foster Blake’s popular skincare brand Go-To and Blake’s radio and television appearances, you can imagine life for the Blakes is pretty bloody busy. Side note – Zoe Foster Blake shared the time-saving tips that have helped her since becoming a mum in the video below, post continues after video. Blake himself is about to feature on our TV screens again, hosting the new Channel Nine reality TV show Lego Masters. It’ll be a new gig for the comedian best known as one half of the radio and comedy duo Hamish and Andy (with Andy Lee), and from the pair’s Gap Year TV series and True Stories with Hamish and Andy. While they’re widely known as a ‘celebrity couple’ with an impressive list of personal and shared achievements, in some circles, Foster Blake is still referred to as ‘Hamish Blake’s wife’. In an interview with Stellar magazine’s Siobhan Duck published on Sunday, Blake said he really doesn’t quite understand why anyone would refer to Foster Blake as “his wife”, and not the other way around. A very happy Christmas to you from a stuffed Ham, a total turkey, and two little crackers. “I find it a very bizarre thing… especially because I am sitting there seeing firsthand that Zoë has created her own skincare line, she’s written 10 books, she had a TV series,” he told the publication. We have to agree with Blake – that there are far more important things Foster Blake should be known for. Last week, Foster Blake and Go-To celebrated the brand’s fifth birthday by expanding into beauty retailer MECCA stores around Australia and New Zealand. 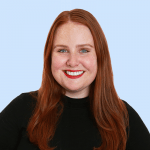 She’s also a published author with fiction, beauty and relationship titles, including her most recent book LOVE!, to her name, is the founder of relationships app Break-Up Boss, and is a former Beauty Editor and columnist at the now-defunct Cosmopolitan Australia. Foster Blake and Blake first met in 2004 when they were in their early 20s. After being “just friends” for several years, the couple got together in 2010, marrying in December, 2012. You can read Stellar’s full interview with Hamish Blake here, and listen to Mamamia’s interview with Zoe Foster Blake on juggling career, relationships and family on I Don’t Know How She Does It below. Do you think it’s acceptable to refer to people as ‘someone’s husband’ or ‘someone’s wife’? Tell us your thoughts in the comments!